The City of Brantford has come a long way from its troubled period in the 1990s when a severe downturn in the economy closed plants, raised unemployment, and caused a significant amount of decay within its downtown core. Although the 2008 recession raised unemployment again (employment has risen and fallen but overall remained static since 2009), investments in the education and services sector have breathed new life into Brantford’s inner city. Its population in 2006 of 90,192 is an encouraging increase from its population in 1991 (81,997). The core of Brantford’s reinvestment in its downtown is the opening of a satellite campus of Wilfred Laurier University. Since it opened in 1999 with 39 students in its inaugural year, it has grown considerably, with over 2,000 students registered in 2011 and eight residence communities built. This has allowed previously abandoned buildings to be rebuilt and added economic activity to Brantford’s central business district and gentrification of the neighbourhoods around it, although the 2008 recession has slowed the pace of this renewal. The city’s distance from major job markets like the Greater Toronto Area and limited transportation connections has meant that some residents – especially graduating students – have left town to look for work. The market is largely fragmented, meaning that large corporate owners do not dominate. Vacancy rates are moderate but rising. These rates are higher for one and two-bedroom apartments and lower for three bedroom apartments, suggesting that the market for larger apartments has room to grow. Rents have risen each year in the past five years. 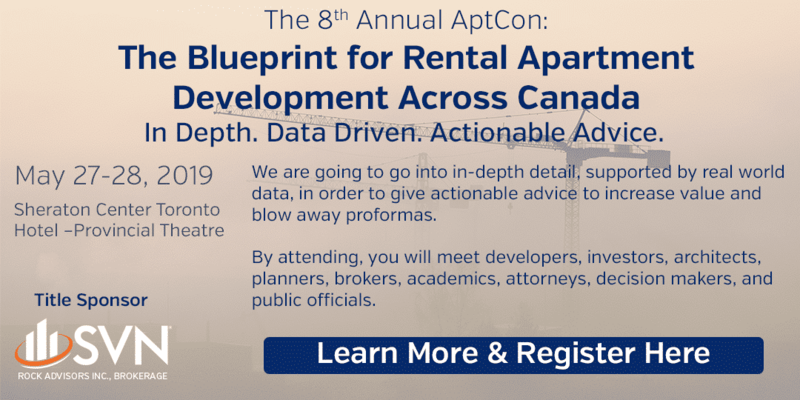 Given its distance from other major centres, especially the GTA, the revival of Brantford’s apartment market will largely come as the town continues to grow its economy and build on the success of its university campus. Even though some market classes are saturated, there are bright spots for investment for those willing to take the risk. Brantford’s remarkable turnaround from the 1990s continues strong with no sign of abatement. Investments in its education centre and its downtown are expected to continue, building a good market for investors looking for a yield play. Continued opportunities for student housing (buying and repositioning) around Wilfred Laurier’s satellite campus. 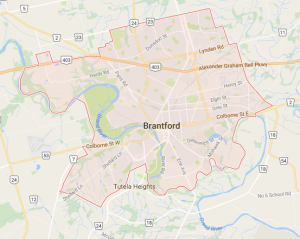 For the stock price, Brantford remains a better value than Kitchener-Waterloo.